Physical environments—where their customers and employees work, play, learn, heal, and shop—are where the brand can make its most dramatic impact, say experts leading SEGD’s Be | Branded Environments event August 20, 2015, in Los Angeles. The SEGD Be Event gathers top branding experts who have created a wide range of immersive brand experiences. 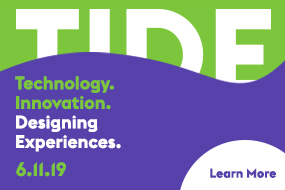 The one-day event is designed to show designers, architects, and makers how to leverage the latest tools, technologies, and trends in experiential design for branded spaces.  And Joe Zenas of entertainment design group Thinkwell; Katie Sprague of RTKL, and Hillary Jaye and Tom Horton, Gensler. Be | The Branded Environments Eventwill happen from 9 a.m. to 5 p.m. Thursday, August 20, at Woodbury University in Burbank. Following the one-day workshop, on Friday August 21, participants can also experience a walking tour of downtown Los Angeles, led by local designers. For the full agenda and to register, visit segd.org. Founded in 1973, SEGD (the Society for Experiential Graphic Design) is the global community of professionals who create experiences that connect people to place. Through educational programs, research, and publications, SEGD’s mission is to provide learning opportunities and resources for professionals involved in XGD, promote the importance of the discipline in establishing place, and continue to refine standards of practice for the field.